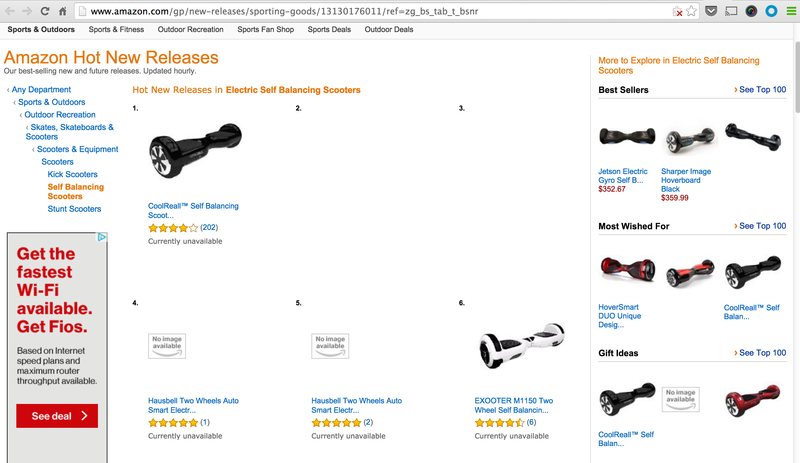 Image courtesy of It appears that Amazon has removed several "hoverboards" from its marketplace over the weekend. 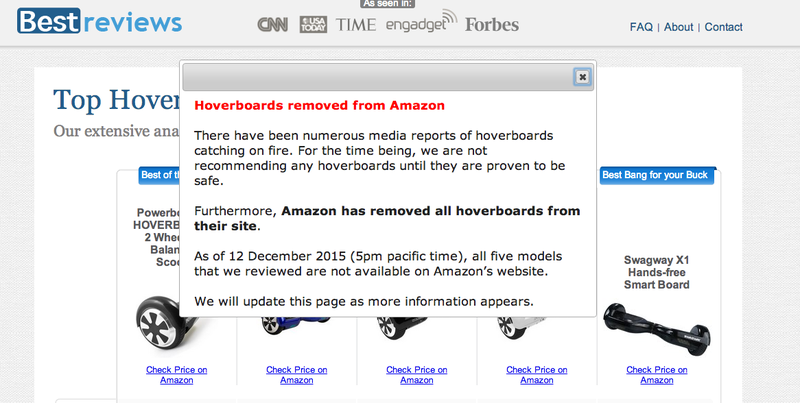 It appears that Amazon has removed several “hoverboards” from its marketplace over the weekend. However, the company has yet to confirm the move. Between injuries, explosions, lawsuits, and being banned by several airlines, one of the year’s hottest gadgets might not be much longer. Continuing the chain of bad news, Amazon reportedly pulled several “Hoverboard” scooters from its marketplace over the weekend because of safety concerns. The Verge reports that Amazon removed several hoverboard models from its listings on Saturday after requesting that companies making the scooters provide documentation about their safety standards. Consumerist reached out to Amazon on Monday to confirm the removal of the self-balancing scooters. We’ll update this post when we hear more. Scooter maker Swagway tells The Verge that the e-retailer sent a notice to all hoverboard maufacturers asking for documentation that their products are compliant with applicable safety standards including those for batteries and chargers. The company didn’t provide comment on its own boards being pulled from the marketplace. However, Best Reviews posted a notice that links to some hoverboards, including several from Swagway, have disappeared from Amazon’s site. Prior to Amazon removing some self-balancing scooters, The Verge reports that Overstock.com announced on Wednesday that it would stop selling hoverboards due to safety concerns.